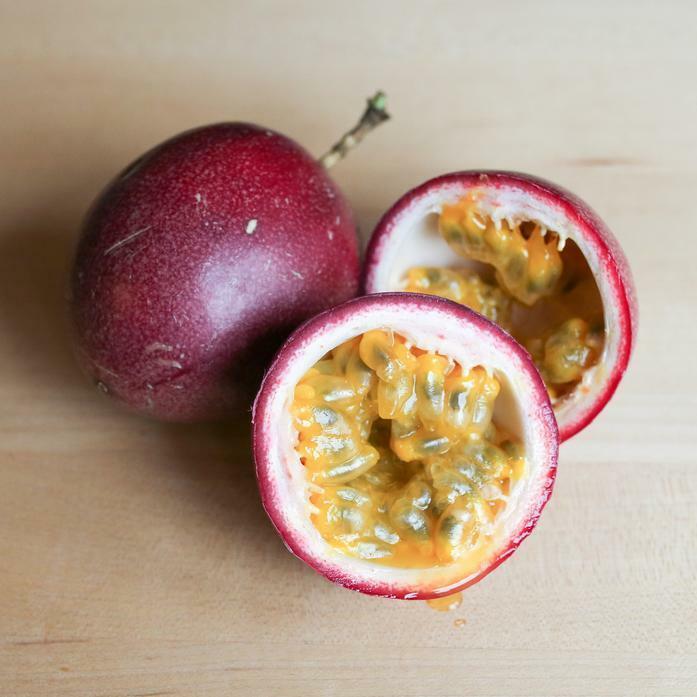 Passion fruit with its sweet-tart, jelly-like interior and intoxicating tropical aroma is one of our favorite fruits. In season for just a short period of time, grab them whenever you can to mix into yogurt, use in a cocktail, or add to your favorite recipes. Note: ripe passion fruit are wrinkled on the outside - the more wrinkled, the sweeter your fruit! Also, the black seeds are edible, so no need to try and remove them.